Dried baby sardines (niboshi) have been a common ingredient in ramen for many years. It wasn't until recently, though, that ramen chefs began using them in abundance. The tiny fish have a very bitter flavor, and cooking them too long will ruin anything. So when a shop comes along that is able to extract as much smoky, fishy taste from their niboshi as possible, fans rejoice. 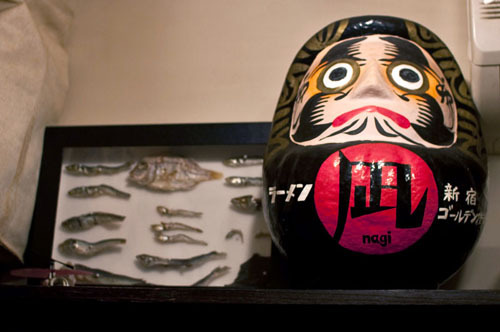 Golden Gai, in Shinjuku's Kabukicho entertainment district, is a sight to behold. With more bars per square meter than anywhere else in the world, you wouldn't expect an amazing ramen shop. But there it is, up on the second floor. Just look for the ever-present line. 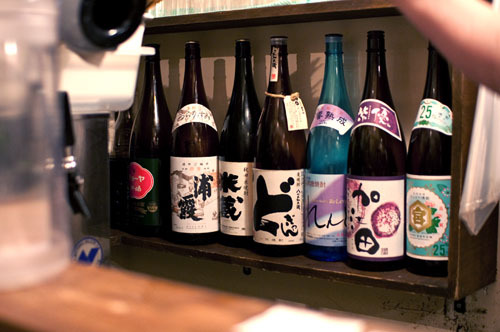 Feel free to drink before coming here, niboshi ramen is an amazing hangover preventative measure. The menu is simple, go for either the niboshi ramen (Y820) or the niboshi ramen with egg (Y920). 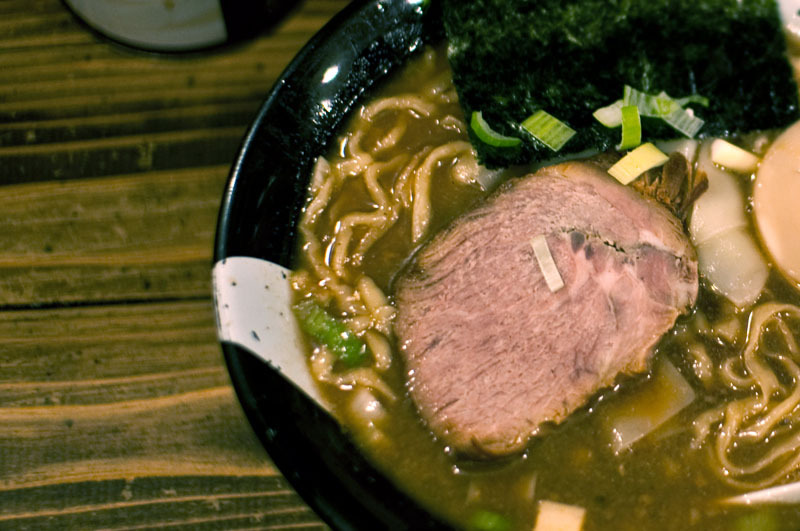 Squeeze in with the other happy slurpers, and enjoy some of the strongest soup in Tokyo. The noodles are rough as well, curly flat noodles that soak up just the right amount of the soup.